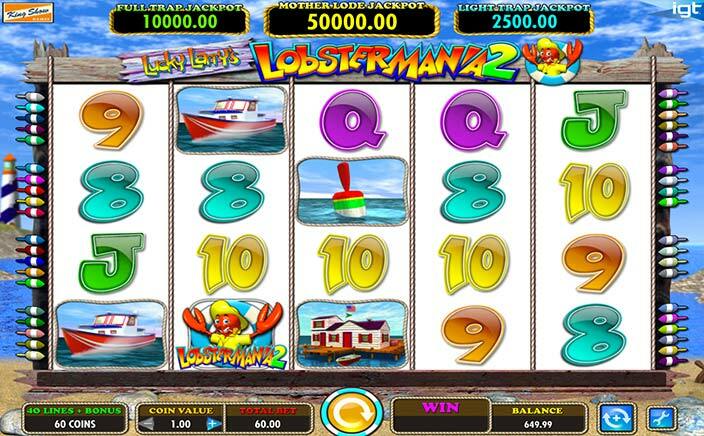 Lucky Larry’s Lobstermania 2 is a fishing themed online slot that revolves around the lobsters. The slot has been designed by IGT and has 5 reels and 40 paylines. This is the second slot in the Lucky Larry’s Lobstermania category and has almost the same design with some additional features to enjoy. Lucky Larry’s Lobstermania 2 is set on the seashore and the backdrop shows blue sky and sea. The reels have a white background and the symbols are arranged on them. The symbols include a fishing boat, a buoy, a floating house, a lighthouse and the lower value symbols including K, Q, J, 10, 9 and 8. The bet can be placed from 60p and the highest bet is £300 per spin. Players will also be able to enjoy the autoplay option and the settings options where they can adjust the slot according to their needs. There are two wilds in the Lucky Larry’s Lobstermania 2 slot game and both of these have been depicted by the slot game logo in different colours. These wilds appear stacked on the reels and can increase the chances of making winning combinations. The lobster wearing a yellow outfit is the bonus symbol and when the players land three or more of these symbols they get to pick between the Buoy Bonus2 or the Free Spins Bonus. The buoy bonus lets the players select their fishing location which can be either Australia, Brazil or Maine. The players can make 2, 3 or 4 picks. Each of these picks will reward 10x to 75x coin value. Each of these locations also has its respective bonuses that will be rewarded with each successful pick. If the player picks Free Spins Bonus feature, they will be given an initial 5 free spins with additional reels and the feature can be re-triggered and can give up to 240 free spins. There is a Jackpot scatter symbol which can reward the players with a small jackpot. If the players land 3, 4 or 5 of these symbols, they will win 2500x, 10000x or 50000x jackpots respectively. 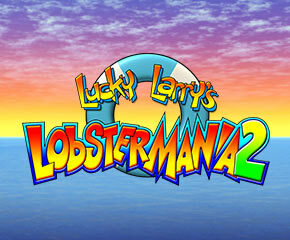 Lucky Larry’s Lobstermania 2 comes packed with features and some big bonuses for the players to avail. The slot has colourful graphics that are pleasant to the eyes. Players can access the slot game on their mobile devices. With a medium to high variance, this slot gives a lot of chances for the players to make big wins and hence is a must try.